Blend Burger in Paris. There are now three of them across the city. 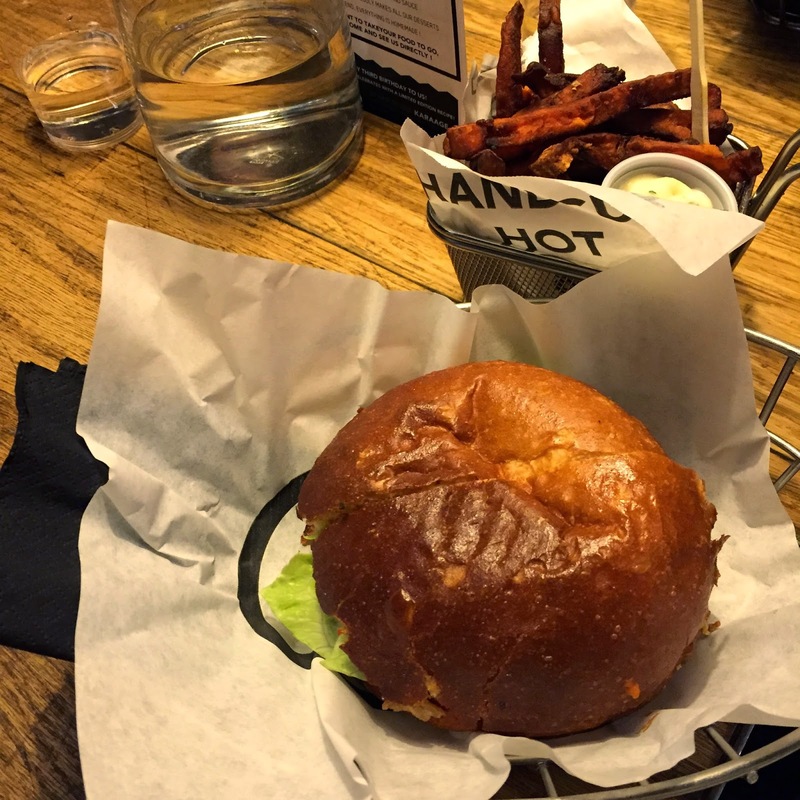 Chilled place, great meat, amazing buns and also important: they offer sweet potato fries. Restaurant Friday is finally back. I slightly neglected writing about restaurants and concentrated more (or less) on the baking and cooking part of my blog. Although writing about restaurants and recommending them to you guys was actually the initial purpose of this blog. Also, I am always too lazy for taking my photo camera with me to the restaurants I visit. This is a really bad excuse though, because my phone camera works pretty well, too. So here comes round number two of restaurants, bars, cafes and other culinary places I visit. These will probably be mostly posts about Berlin, but I'll try to bring in other cities as well (such as this one from Paris). Blend Burger. A Burger place I have discovered around three years ago during my second visit to Paris. After a bit of googling I stumbled across this place, apparently serving the best burgers in Paris. Well, that sounded being worth a visit. And because back then I wasn't as spoiled when it comes to burgers as I am now and you might say 'oh come on, it's been 3 years now that you've eaten there', I went there a second time, exactly 3 weeks ago. And my opinion hasn't changed: amazing burgers, chilled place, please do go there as soon as you get the chance to. What to eat? - I had a pretty basic burger. Just meat, pickles, BBQ sauce and bacon. You can also choose from around 5 other options, but anything will do. The meat is so juicy that simply a bun and meat would be sufficient. Plus, the bun is a brioche - I am a huge fan of that! 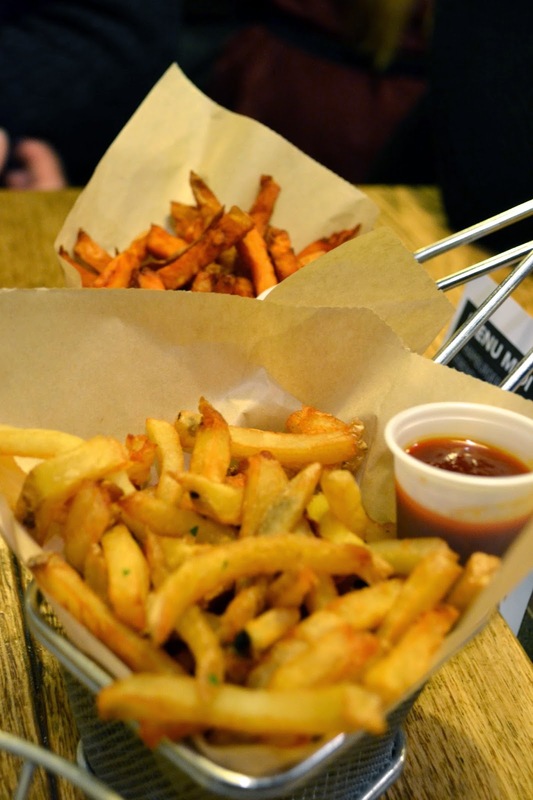 And please do order the sweet potato fries. Price? - 10€ for every burger, no matter which one. 5€ for sweet potato fries, 4€ for normal ones. Not the cheapest burger place on earth, but remembering that you are in Paris this is quite ok. When to go? - Either for lunch, with a menu price of 15€ or if you want to spend a relaxed evening. With whom to go? 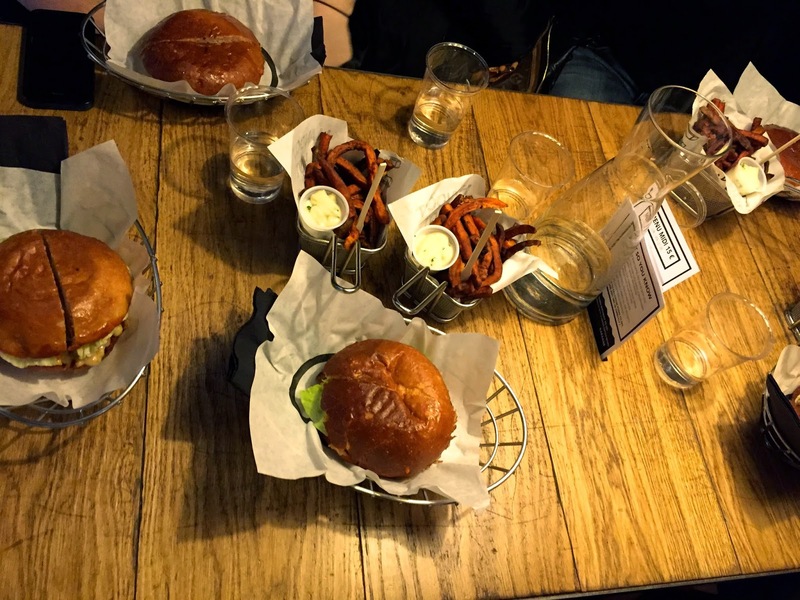 - Grab your foodie-friends and come here to hang out and enjoy some delicious burgers. I would not expect having a romantic dinner for two here, though. Where? One of the locations is here: 44 Rue D'Argout, 75002 Paris. Check their website for the other locations.